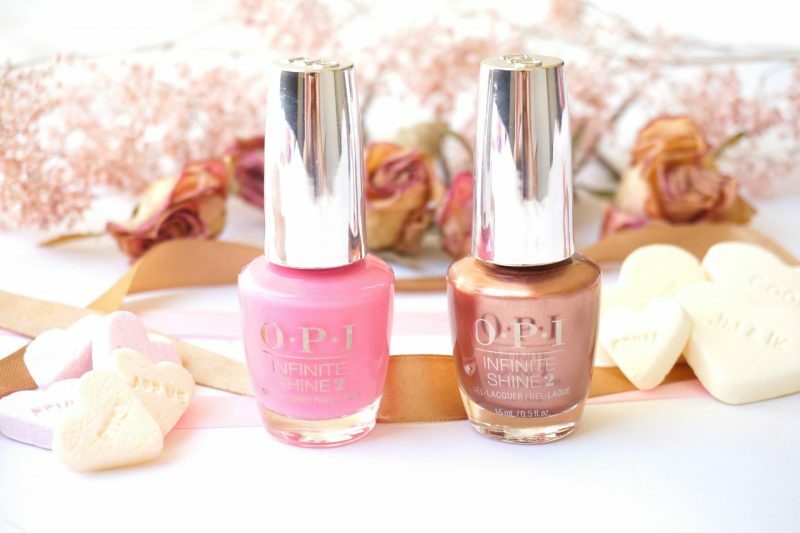 Today I will talk about the OPI Infinite Shine No-Light Gel Laquers of the California Dreaming Collection. I’ve been blessed with long and strong nails my whole life. My mom never had to go to the manicure because her nails would look damn fine all the time even when she did the household or washing the dishes. Now, the timing is nog perfect because when I was asked to do a review for OPI my nails were short. Hopefully in the future you will see my lovely long nails! California Dreaming is all about the summer, having fun, people in yoga outfits and celebs walking around in the sunny California. 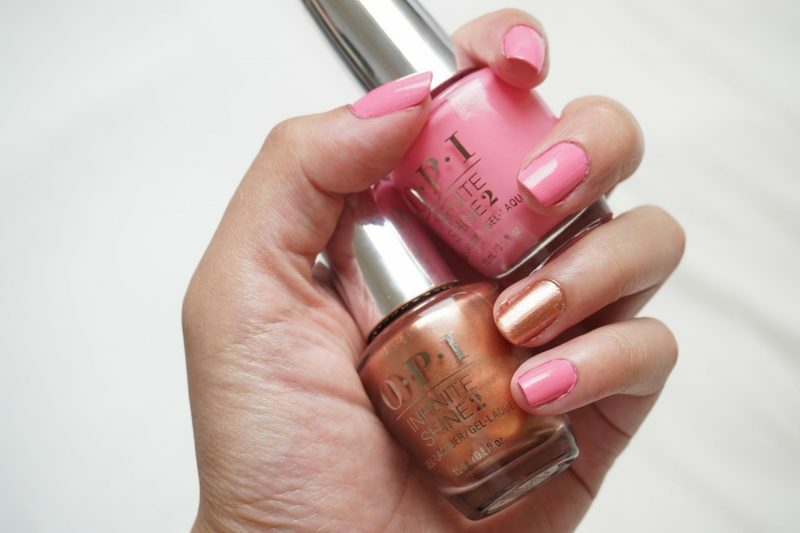 For this review I received a beautiful pink and a gold/caramel nailpolish. 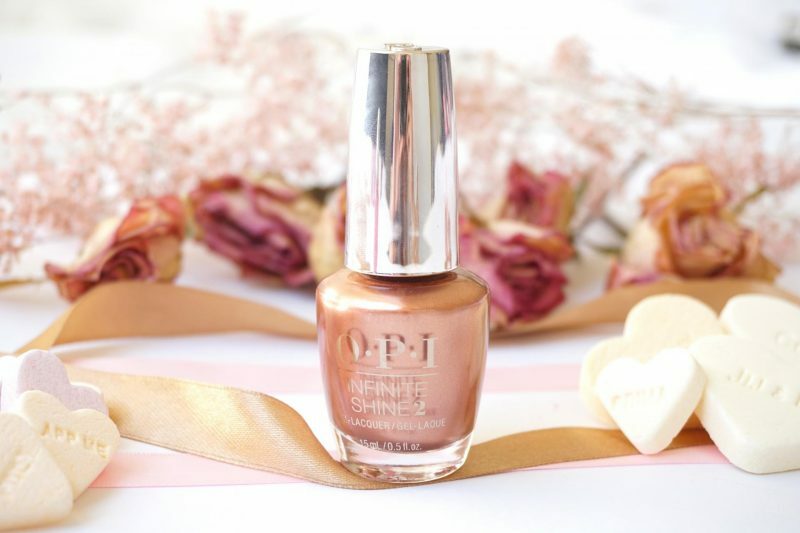 Not to forget that this Infinite Shine nailpolish gives you the most beautiful shine every on your nails! Already getting curious? Let’s get started! Bon voyage au beach! Cue The Mamas and Papas, we were ready to be safe and warm in L.A. We finally got to give into Malibu Pier Pressure, heading back to our intended first stop. As we drove through Malibu’s winding mountain roads, passed secluded sands and stunning residential architecture, our collection came alive around us. The skies gradient glowed from deep merlot, rich red and colorful coral to peach, perfect pinks and naturally iridescent nudes. Just up the Monterey peninsula sits an underrated town called Carmel-by-the-Sea. The very cool Carmel is known for its booming art industry and romantic ambience, ranked by Travel + Leisure as the number 3 most romantic city in the world in 2014. We set on to enjoy that Sweet Carmel Sunday, wining, dining and appreciating its aesthetics. From unbelievable ocean views to charming cottages, inviting galleries and unique boutiques, everywhere we looked we saw works of art. 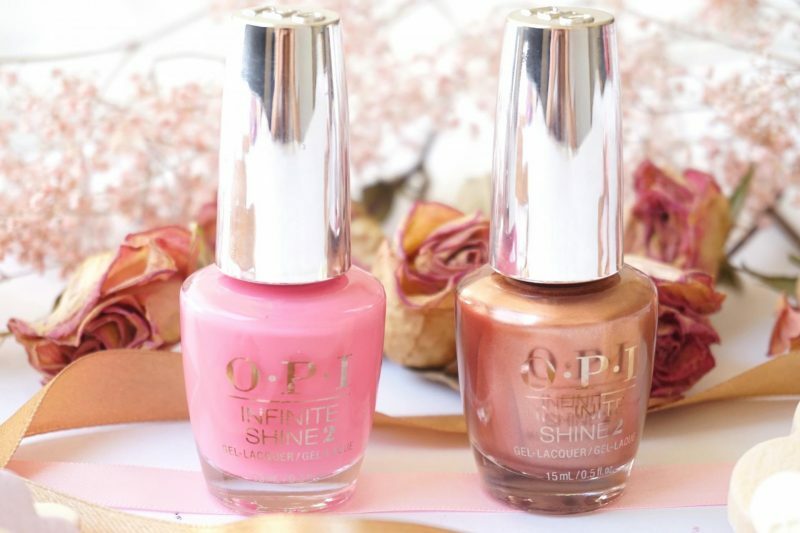 The Infinite Shine nail polishes are gel products. I received two polishes but OPI advises you to never use these without the step 1 Primer and step 3 Gloss. Maybe that’s the reason why my nails didn’t turn out that pretty .. oh well let’s move on. The bottle has a silver finish which is the signature of the Infinite Shine Collection. I kinda dig this silver cap, maybe they should do this with all of their bottles? 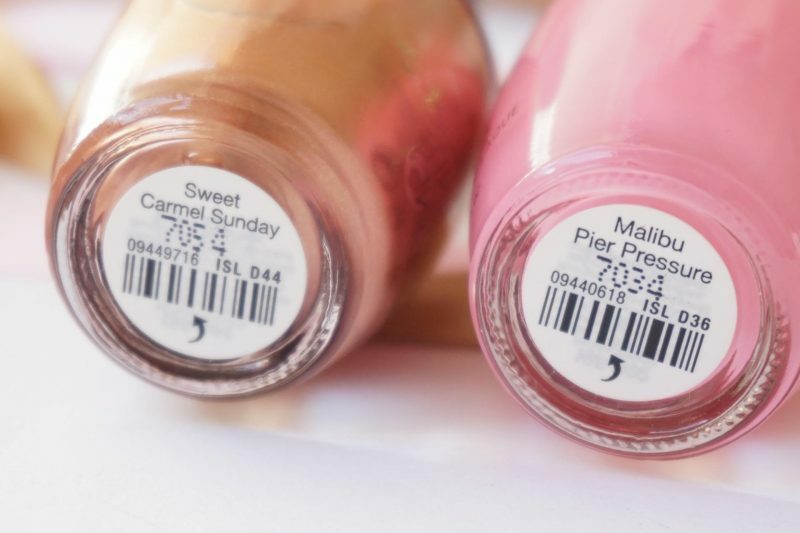 I received a metallic gold/caramel shade which is called Sweet Carmel Sunday and a hot pink called Malibu Pier Pressure. 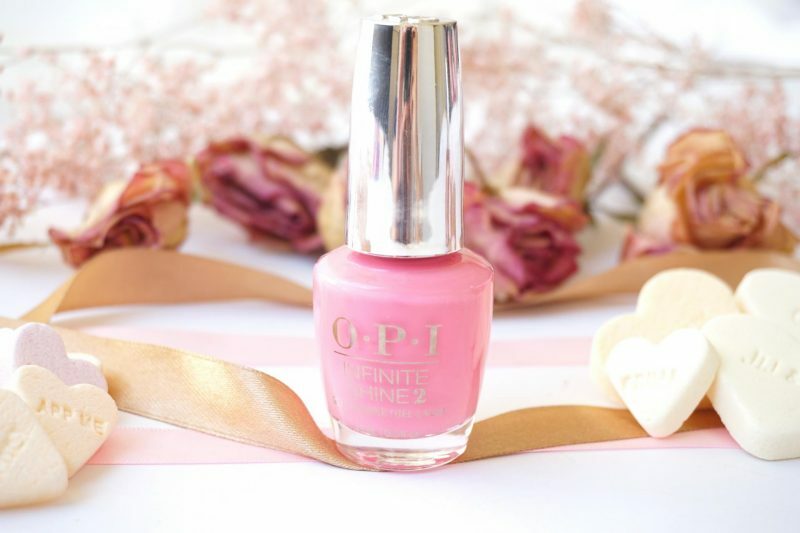 At first I was a bit scared about the pink, it is a really hot baby pink I usually never use. But there has to be a first time! So I was really curious if this shade would work for me. The gold/caramel polish looks amazing, something I was instantly excited about. I love these kind of colors because usually you can’t see that you did you nails messy and gold always works during the summer time. The California Dreaming Collection has a lot of shades and I think there are way prettier colors than these 2, but that is my opinion. So definitely take a good look at the others. Somehow I never used OPI very often because I’m usually a big fan of the more affordable polishes. Now I know why they are more expensive that brands like Essence or Catrice: the brush and formulation is so much better. The brush is just perfect, not too big or too wide. It holds the right amount of product onto the brush so you don’t need to dip everytime you applied one nail. It looks like that this brush makes my bad nail polish skills less visible. Literally everytime when I do my own nails I end up with polish beside my nails, along my cuticle and sometimes even my hands. This brush makes it more easy to apply it without getting messy beside the nails and it doesn’t drip that fast. I use the word everytime very often in this part right? The smell is the same as every other nail polish, it never changes. Except for the nailpolishes with the special fragrance in it. I apply a second coat because 1) I want to get rid of the air bubbles and 2) the caramel shade doesn’t cover my whole nail at once. This time is goes better than the first layer. I can see that the nails are getting an even coat without weird bumps and the color looks better now. The brush makes it really easy to apply the polish, usually by now my hands look terrible because I smudge the product everywhere. It doesn’t take very long until my nails are dry. Because it is a gel finish I can start touching and do stuff after a short amount of time. Goals! Usually within this period I manage to ruin my nails .. and I did. With a little touch up my nails looked great again. I don’t know if my nails are in great condition or if I did something wrong, but the bubbles appeared on a few nails after my nails were done. It is not the end of the world but I can see it which makes me annoyed. The longevity of the polishes are better than your normal polishes because they have a gel finish. Usually within 3 days I get chipped nails along the edge but now I don’t see a difference. I think I start to see peeling nailpolishes after more than 7 days! 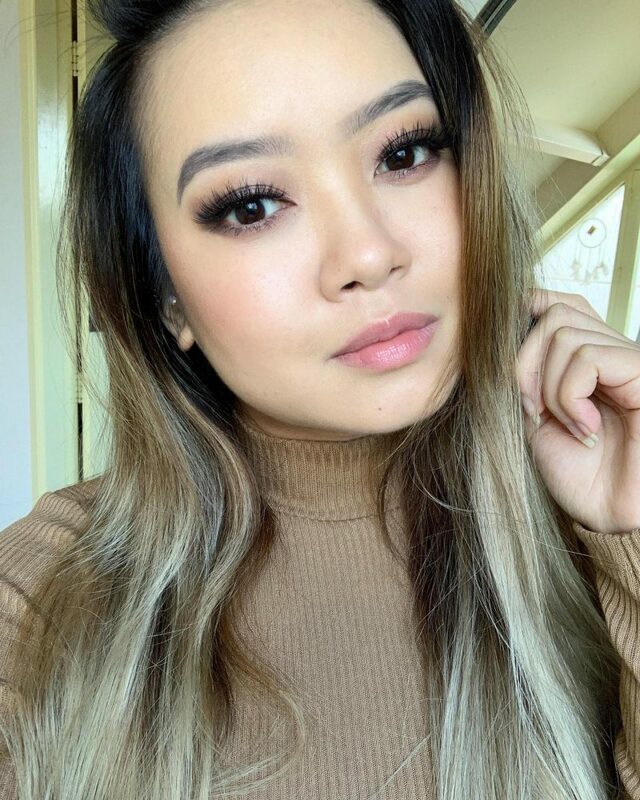 I love the caramel shade, this is definitely something I will use again. 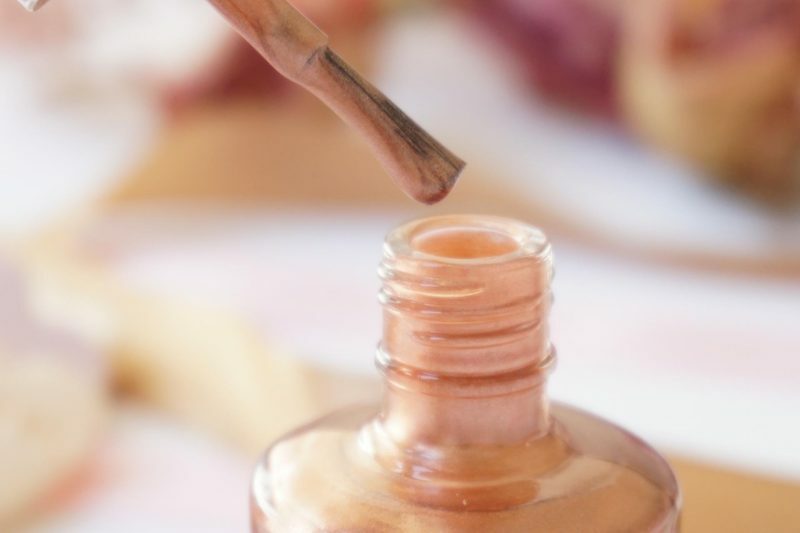 You can use it on its own or as a topcoat on top of a white nailpolish. I think that would look amazing! For the pink it is different, I’m not that type of girl who likes to wear these kinds of bright colors. I felt like a Barbie and it made my hands looked very old. Pink is one of my favorite colors when it comes to cosmetics, but this shade just doesn’t work for me! I own a few OPI nailpolishes in red and blue which I’m very happy with and purchased them by myself. The brushes are just heavenly to work with because I don’t make big mistakes when I use these polishes. 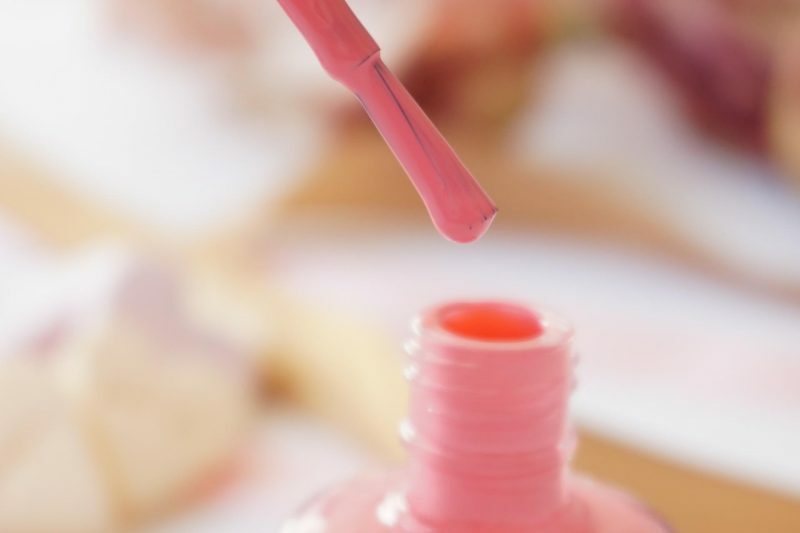 Because of the gel finish your nailpolish will look flawless, great when you have a short vacation or when you are a lazy girl like. I’m just not excited about the colors I received except for the caramel shade. The pink would look great on a paler skin because it made my hands look very old and super tanned. 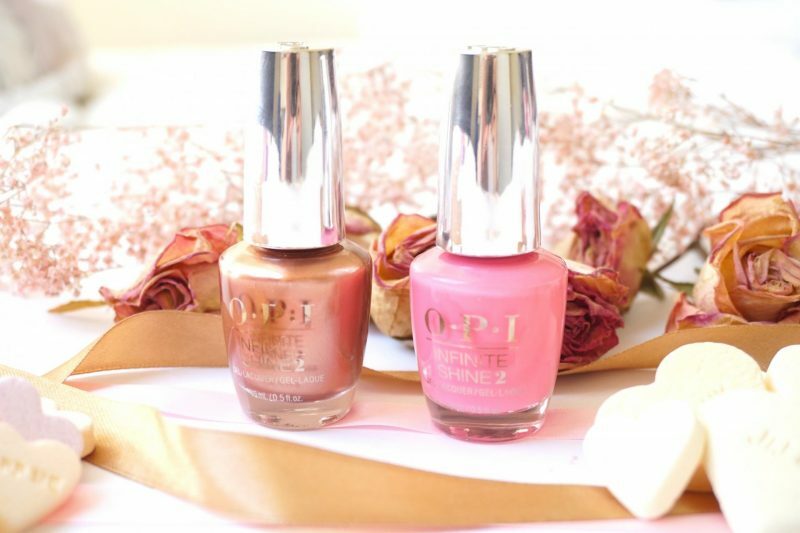 I can recommend you the OPI Infinite Shine polishes when you are looking for a gel manicure without a lamp that really holds it shine and stays for at least 7 days without peeling! 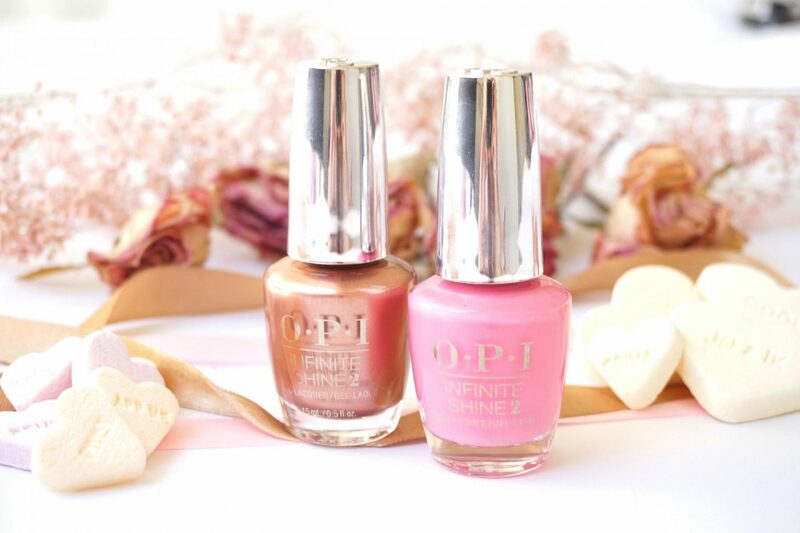 The California Dreaming collection is seriously wonderful with amazing red/pink tones and some funny shade like this caramel and a silver one. I had the bad luck that I received this pink which doesn’t suit me at all. Don’t be afraid by my review, just make your own opinion about this collection and please take a good look at it! You can get your own Pink Malibu Pier Pressure and Caramel Sweet Carmel Sunday for €18,95.